Legend has it that, following his victory over the Visigoths at the Battle of Vouillé in the sixth century, the Catholic King Clovis I had a vision—to build a monastery for 1,000 monks on the land where the Tarn and Garonne Rivers meet. Although this story has been largely discredited, the Abbaye de Saint-Pierre, in the centre of Moissac, is a magnificent example of Romanesque architecture and has been a major stop for pilgrims along the Chemin de Saint-Jacques since the tenth century. 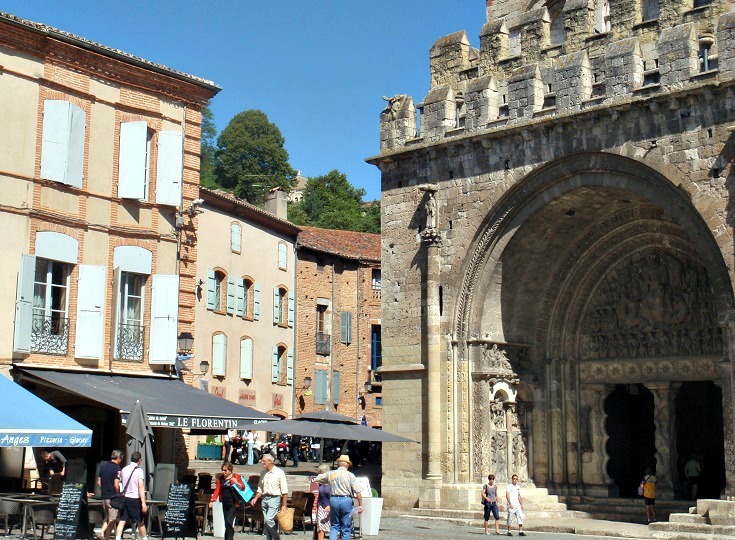 If you are following my suggested itinerary along the Chemin de Saint-Jacques, you’ll arrive in Moissac after three days of walking from Cahors. This may feel a little too soon to be considering a rest day, but if you are ready for a break, Moissac is an ideal choice. Call into the Tourist Office, located next to the abbey at the entrance to the cloister. Ask for a map of the town (Plan de Moissac), which also shows three walking circuits around Moissac, and will be useful if you have time for some wider exploring. No matter how much time you have available, make sure you visit the abbey and cloister, which are open to the public every day (hours vary depending on the season). There is a lot to see here so, if possible, allow yourself an hour or two to explore. Guided visits (en français) or audio guides (in many languages) are also available to give you a deeper understanding of the site’s architecture and carvings. Construction of the abbey has been attributed to Clovis II, who ruled in the middle of the seventh century. The southern door is surrounded by elaborate carvings, including a tympanum depicting the Apocalypse, which was carved between 1115 and 1130. Inside, the walls are painted in shades of yellow, terracotta and blue and several small chapels display beautifully painted statues and sculptures of Jesus, the saints and disciples. Over the centuries, the church has been restored and enlarged several times—as evidenced by the mixture of architectural styles and stone and brick work on the façade. The adjoining cloister was completed in 1100 and offers an oasis of calm—despite the many visitors (and the constant stream of wedding parties on a Saturday afternoon!). 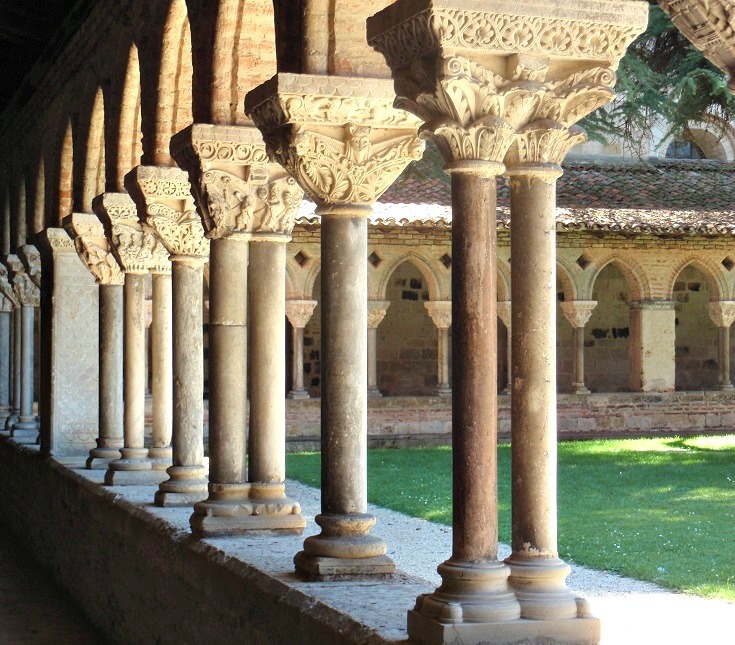 Seventy-six capitals, mounted on alternating single and double columns, line the cloister and depict the lives of saints and martyrs as well as stories from the Old and New Testaments. These delicate, and sometimes macabre, carvings are believed to be the oldest surviving capitals in the world. If you have time to explore the town a little more, follow the road beyond the railway to the top of the hill (purple Circuit 3 on Plan de Moissac). Here you’ll find the Carmelite Convent, which shelters up to seventy walkers each night and offers spectacular views from the grounds over the rooftops of Moissac. 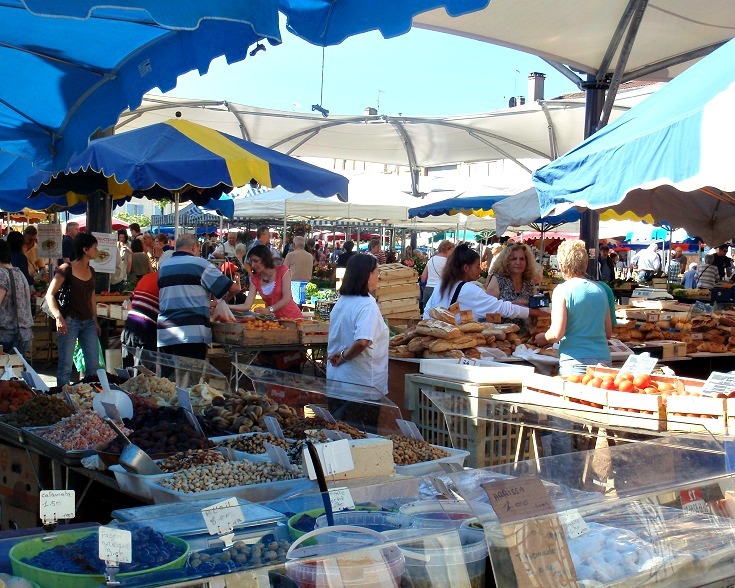 On Saturday and Sunday mornings, a large market unfurls in Place des Récollets, where you’ll find clothes, jewellery and all manner of knick-knacks as well as the usual fresh fruits, luscious cheeses and local delicacies. 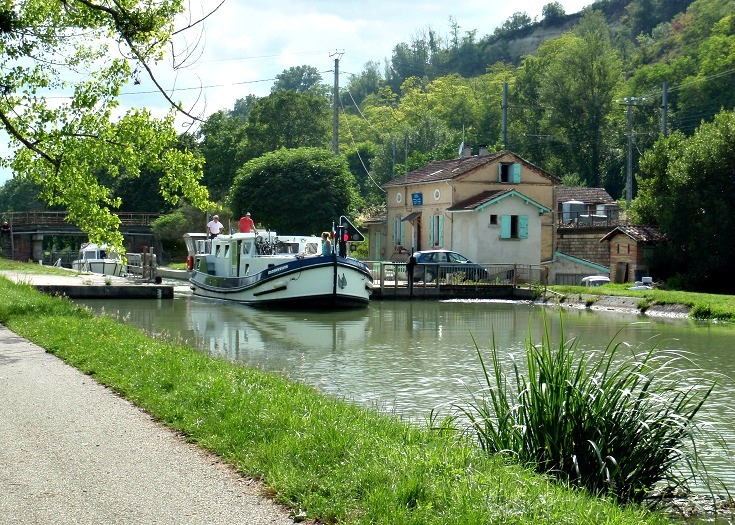 From Moissac, the GR 65 path follows the canal for three kilometres (two miles) before climbing the ridge to the village of Boudou. 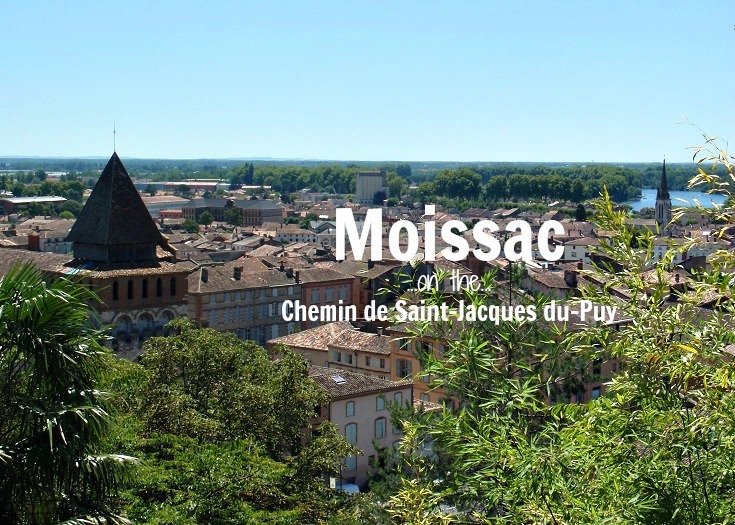 Which long-distance walk visits Moissac? Hôtel Le Moulin de Moissac one of the nicest and best value hotels I have stayed in, this hotel is a ten-minute walk from the abbey in the centre of town. It also has a great restaurant if you are too tired to go out for dinner. May I please have your permission to use the photograph of Daniel on the capital in the cloister in a paper I am writing about the origins of the bishop’s mitre? This may actually show a possible example of what the mitre grew out of, and it would certainly make my paper so much more intereseting. Sounds perfect Jerry. I am still collating all my information for this section of the Chemin de Saint-Jacques – I will make sure I include this gite. Thanks, Melinda.